Can I buy my Muramatsu directly from you? Yes! We will sell direct to many of our customers. Give the office a call (248) 336-2323, and we will be happy to assist you. We have many authorized dealers throughout the United States and Canada. Please see our MAP of Authorized Muramatsu America Dealers & Repair Technicians. If you prefer, call the office at (248) 336-2323 and we can assist with any questions or concerns. Are there any unauthorized dealers? How does un-authorized affect me? Your flute may be pitched sharp for this market, the spring tension may be different, the cut may be different. Customs and duties may not have been paid on these flutes or may have been falsified with customs, you may not receive a paid invoice, appraisal, nor factory warranty from the seller. You may not receive all the items that come with a new flute such as a case cover, etc.  Your flute will be subject to a repair surcharge or refused if taken to an Authorized Muramatsu Repair Technician. Un-authorized Repair Techs do not have access to Muramatsu parts for flutes made after 1995 and may use parts not specific to or appropriate for Muramatsu flutes. What’s the big deal about importing? When something is manufactured in a country other than the United States, you are subject to customs and duties charges. Muramatsu America pays all customs and duties charges on every flute we import. This means that all the proper paperwork has been filed with the United States government, and your flute is not in jeopardy of being repossessed. My flute could be repossessed? If it is determined that customs and duties charges were not paid by an un-authorized seller, it is possible that your flute could be repossessed, or you could be responsible for customs and duty charges. I placed my order, how long will it take? If you have ordered with either Muramatsu America or one of our authorized dealers, your flute should be shipped within 48 hours for all items in stock. We have a huge inventory, ready for you. We do the waiting, by placing our orders well in advance of our customer demands. It has been three months, and still no flute, what’s going on? Most orders get shipped within 48 hours. If your dealer is stalling you, they are probably an unauthorized agent and you should call us immediately. We have most models in stock at all times. Special ordering refers to items we do not usually carry in our inventory, such as closed hole or C foot instruments, along with some of the higher end flutes such as 18k or 24k. Special orders should be placed directly with Muramatsu America, and it could take anywhere from three months to one year for your flute to arrive. We always let our customers know the status of their special order. Do you receive shipments often? Muramatsu America places and receives orders from our parent company, Muramatsu Inc., every month, so we always have a good supply of the various models and options available for our customers. Do you ever run out of flutes? This has happened on occasion when the demand for a certain model has exceeded our anticipated sales. We try very hard to keep everything in stock either here in our office, or with our dealers. Backorders are rare, and we ship as soon as possible. It depends on the repair. Minor repairs and adjustments take seven to ten days, but overhauls take longer. Muramatsu America has one of the quickest repair turn-around times of any major professional flute maker. What about my older Muramatsu? We love to see vintage flutes! Muramatsu flutes are made of such high quality that our repair service can easily put them in to their original top notch condition. Can I buy parts from you for my flute? Sorry, only authorized Repair Technicians can purchase Muramatsu parts such as pads, screws, washers, etc. This is simply due to the fact that the Muramatsu flute requires precision repair techniques. You can obtain key oil, cases, and case covers from Muramatsu America. I currently own a C foot or B foot instrument, and I would like to purchase a new foot joint. Are they available as extra parts? Yes and no. Every component of every Muramatsu flute is made to order. Older flutes (pre-1981) cannot have a new foot joint or headjoint made since these items are no longer in production. Solid silver flutes most likely can have new parts manufactured, but Muramatsu America has to check availability, price, and timing for each individual flute. What is the C♯ trill option? The C♯ trill consists of an added tone hole above the thumb key on the left hand. This tone hole is the actual C♯ tone hole for the flute. It is operated (opened) by the first finger on the right hand, which presses on a lever just above the B-flat lever. Besides producing a true C♯ when placing down the first finger in the left hand, this lever allows the flutist to produce numerous trills more accurately. What is an E mechanism option? This is a mechanism which actually splits the two keys operated by the third finger in the left hand which produces G. The split E allows the second of these two keys to close independently when playing a high E and makes the high E speak more easily. This mechanism could be called a split G, but its purpose is solely for producing the high E, hence the name split E mechanism. What is a D♯ roller? It is an added roller on the E♭/D♯ key of the footjoint. This roller allows the pinkie finger to slide smoothly to the lower keys on the footjoint, namely, the C♯ spatula and the C and B rollers. What is a Tsubasa headjoint option? The tsubasa “wing” head joint is a design with subtle risers running out each side of the front of the embouchure hole. These tiny bumpers are said to enhance the clarity and depth of the sound and are offered as an option to the traditional Muramatsu head joint. Can I have different options added to my Muramatsu flute? No. After the flute has been manufactured, neither a C# trill key nor a Split E mechanism can be added to the flute. However, a high E facilitator (also known as E ring, or donut), can be installed in your Muramatsu flute. Yes. You can call to schedule a trial with the Muramatsu model and options you wish to try. We will need your name, address, phone number and a credit card number. Trial period is seven days from receipt of the flute. After the trial, do I wait for my flute to be made? No. Every flute sent for trial is brand new (unless you request a used flute), and that flute is available for sale. So, if you test the flute and like it, you may keep the flute by completing the purchase. Simply pack it up and return ship it to us. You are only responsible for your return shipping charges. Visit the contact page for instructions. Can I buy a flute at a trade show? Yes. A trade show is just like an in-home trial. If you like the flute, you can make your purchase with our trade show representative. Can I come to try flutes at your location? Yes, you are welcome to call (248) 336-2323 to make an appointment with our staff to test flutes here in our Michigan office. Will you help me sell my used Muramatsu? Of course. We offer a consignment service in which you ship your Muramatsu flute to us, we appraise it and decide on the fair market value with you. We post it to our web site, take it to trade shows, and ship to potential customers on your behalf. We generally receive a nominal fee to cover our costs from the sale of your flute. Where was my Muramatsu flute made? All Muramatsu flutes are made in the factory located in Tokorozawa, japan. Who has information about my Muramatsu flute? Flutes manufactured after April 1995 are all registered in the Muramatsu America database, as long as your flute was purchased through a legitimate dealer or agent, of course. If your flute was manufactured before April 1995, we will be able to contact the factory on your behalf to obtain information about your flute. What does “North American specifications” mean? North American specifications refer to pitch, spring tension, headjoint, cut, etc. Also, if you are purchasing a DS, Platinum Clad, Gold or Solid Platinum flute, the D# roller is a standard feature on these flutes. Over the years our staff has worked closely with the engineers at Muramatsu Inc. to ensure that the flutes we import have the features desired by the American flutist. How do I ship my flute to Muramatsu America? Muramatsu America 915 South Main Street Royal Oak, MI 48067. We recommend either UPS or Federal Express. Keep your tracking number. Is there a warranty with my Muramatsu flute? Yes, all new flutes purchased from Muramatsu America, or one of our authorized dealers, have a warranty. Please refer to the warranty page for details. I keep seeing flutes on eBay, is this a good deal?  Authorized Dealers do NOT sell new Muramatsu flutes on ebay. You may find used Muramatsu flutes on ebay, they may or may not be a good deal. If you have any questions, don’t hesitate to call us. We will help you to the best of our ability. You have used flutes posted, where do you get them from? The used flutes we have are consignment flutes, meaning we are selling them on behalf of a third party. All used flutes are subject to the same selling procedures as new flutes, meaning they are available for testing before purchase. Have the used flutes been overhauled? Since these flutes are on consignment, we advise the owners of repairs we feel are necessary. It is up to the owner to decide if they want to have the repair work done. Pricing is fair, and if the flute needs to be serviced, it is reflected in the selling price. Ask about any flute you are interested in. I don’t live in the United States, can I buy a flute from you? We are able to sell Muramatsu flutes outside the country if your country has no Muramatsu distributor. Email us at flute@muramatsu-america.com for more information. We will ship and deliver anywhere in North America. What should I do if my Muramatsu is stolen? After making a police report, CALL US! Our web site is the one people hit for information about Muramatsu flutes. When pawn brokers or wary internet buyers want more information about the value of a vintage Muramatsu, they often contact us. We keep a record of serial numbers and are quickly able to tell them all we know about the flute. If we can’t help get your Muramatsu rescued, we’ll help get it replaced. We can work with your insurance company.